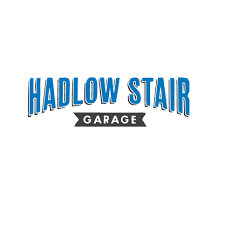 Looking for a garage in Tonbridge for your car service? No need to ring around or hang on the phone – find and book it online quickly and easily with BookMyGarage. Simply enter your registration number and postcode, choose a Tonbridge garage and make your booking. You won’t pay a penny until the work is complete. "great service ..from picking the car up from home to sending a video of step by step inspection of my aar ..and car dropped hom eafterwards..fantastic value"
"Friendly polite staff, easy to book, love that I get a video of my car and what needs doing... great touch that My car gets a wash! Free coffee whilst waiting to collect! A1"
"I am very happy withe the service I received. Friendly and helpful staff made the experience. Will use again"
"The gentleman who did my service was very helpful and the cost was brilliant. Very impressed and would recommend." "Went out of their way to make good vwhicle so it would pass MOT"
"Always service with a smile and they can never be more helpful." "I have use their service quite a few time now, it is good to know they always to get the job done." "As always - excellent service!" "Happy with everything, the collection and delivery service really helped us out ." If you’re looking for a garage in Tonbridge for your service, you can choose from 10 on BookMyGarage. We know how important it is to find a local garage you can trust and the star ratings from other car owners in Tonbridge will help you to choose the best one for you. It’s often the case that we stick with what we know when it comes to car servicing. Proximity to home, familiarity with the staff and simple force of habit all play a major part when we choose a garage. But what if you could instantly compare Tonbridge garages’ prices, speed and quality of service, and customer feedback - and book online at the same time? BookMyGarage does all this for you in a matter of moments, free of charge, leaving you to get on with the rest of your day. Not sure when your car service is due? Check your owner’s manual in the first instance, as it depends on the make, age and mileage of your car. Sometimes the last garage which serviced the car leaves a sticker on the inside of the driver’s door as a further reminder. As a rule of thumb, your car should have a Full Service every 12 months (or 12,000 miles) and a Major Service every two years (or 24,000 miles). It’s really important to take your car for regular services, for both the smooth running of your vehicle and to make matters straightforward when you sell it on. If you frequently make trips beyond Tonbridge and generate a high annual mileage, consider an Interim Service every 6 months (or 6,000 miles). The cambelt (or timing belt) is a very important component that regulates the operation of your car engine. If it breaks, it can cause expensive damage, so when it comes to the cambelt prevention is better than cure. This crucial part of your engine will have an inbuilt lifespan. Varying from make to make, some manufacturers suggest replacement at 40,000 miles, others are said to last as long as 110,000 miles. Check your owner’s manual for your specific car. Some tell-tale symptoms that your cambelt might be wearing out include erratic engine behaviour at around 2000 - 4000 RPMs, or your exhaust suddenly starting to expel more smoke than usual. This is an indicator that your engine is struggling and under duress - time to click on BookMyGarage and find a great Tonbridge garage at the right price. Whether you’re driving in Tonbridge or further afield, think about road user etiquette. Showing respect for other road users makes driving more pleasant for you and safer for everyone. For example, if you have to make a last minute change of lane, make your request to change clear to the driver who will need to let you in - and signal your thanks if they do. Be ready to abandon the change of lane if they won’t play ball - your safety (and that of other drivers and pedestrians) is more important than getting to your destination in the shortest time possible. When the position is reversed and a driver asks your permission to change lanes, allow them to as long as it is safe. If you get frustrated, avoid using your horn - it won’t improve matters and might make them considerably worse.